Alicia Rossman is a Registered and Licensed Dietitian, RYT-500, Lifestyle Educator, Reiki Master, author, and owner of Let’s Get Movin’!. Alicia is a graduate of the 300 hour Comprehensive Yoga Therapy Teacher Training at The YogaLife Institute of New Hampshire as well as a graduate of The 200 hour Integrative Yoga Therapy Teacher Training program through Moebius Yoga & Ayruveda. Alicia currently works as the Diabetes Educator at the Endocrinology Clinic at Dartmouth-Hitchcock. Alicia is a member of the Academy of Nutrition and Dietetics, the New Hampshire Dietetic Association (NHDA), Granite State Diabetes Educators and the Yoga Alliance. She also served as a KidsEatRight Crew Member for the Academy. As a nutrition and exercise expert Alicia strives to help others live healthy lifestyles and set goals to achieve results. Her goal is to promote healthful eating and physical activity. Alicia earned a Bachelors degree in Nutritional Sciences from the University of New Hampshire and completed her Dietetic Internship at Cedar Crest College. She Authored “Miss Lyla’s Banana Pancakes to the Rescue” with the mission to teach children to “Get Healthy, Get Movin’!, and Give Back”. She appears regularly as a guest on WMUR’s Cook’s Corner. Alicia has been a volunteer for the non-profit Share Our Strength for over 10 years and serves on the board for Share Our Strength Seacoast. 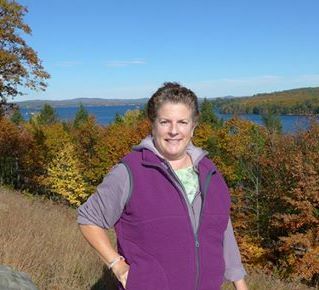 She serves on the New Hampshire Dietetic Association Board on the social media committee. Fun Facts: She serves as the first female on the Hurricane Kayak Fishing Team and is the first female Team Captain for Why Knot Fishing. She also is on the Accent Paddle Team and Astral PFD Team! FirstLine Therapy Certified Lifestyle Coach, Certified CDC Diabetes Prevention Program Lifestyle Educator, ChildLight Yoga Certified Instructor, YogaMinded Certified Instructor for Teenagers, GoGo Babies Certified Instructor, StillPoint Prenatal Teacher, and completed the Ring One Immersion Circus Yoga Training. Cheryl Rossman has been practicing yoga for over 12 years. She is a graduate of Yoga Life Institute NH with training in classical yoga and yoga therapy as well as a certified children’s instructor. Her training includes: Yoga for Children with ADHD, Autism and Those Who are Differently-Abled, Yoga Minded Teenagers, and Pediatric Yoga. She has also completed course work in Therapeutic Yoga for seniors and Restorative yoga. Cheryl teaches Gentle, Chair, Restorative, Family and Children’s Yoga. Her hope is to help folks incorporate yoga into their daily lives to create balance and peace. She is also passionate about helping children use yoga to enjoy learning. A happy healthy mind and body are the first steps. So often test anxiety and peer pressure becomes a brick wall to children; yoga provides the relaxation and focus to overcome these obstacles! Cheryl believes in giving back to the community and has volunteered in the Springfield MA school system as well as NH’s SAU 16 and the seacoast community. Cheryl enjoyed her 6+ years of working as a certified paraprofessional at the elementary level in NH’s SAU 16 school system. She is a native of Western MA and currently lives in NH with her husband of 30 + years Bob. She is the proud mom of 2 adult daughters: Jessica– a physical therapist and Alicia—a registered dietitian.